Sustainable development is now one of the most frequently discussed multidimensional concept that orients plans and strategies for policymakers. Global pursuit towards sustainability forces solutions which should meet people’s social, economic and environmental needs—for now, and for future generations. In between the social and economic aspects, the sector of energy and its production plays particular role. Not only in global scale, but for every single citizen the electrical power is indispensable—from food production, water supply, job creation, security etc. Energy sector simply influences sustainability of the entire economy. And, needless to say, the environment as well, since the energy industry contributes substantially to atmospheric contamination. Dwindling natural resources, raising consumption together with growing concern about environmental pollution stressed the importance of transition to cleaner technologies and developing alternative energies. Moreover, producing renewable energy, controlling urban air pollution and monitoring rural areas, reducing emission of toxic contaminants and identification of emerging environmental threats, i.e. protecting each component of the environment in any possible way, are consistent with the idea of sustainable world and simply make our planet “greener”. 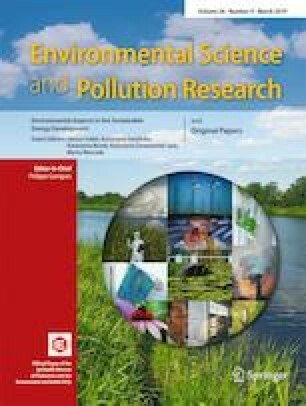 This special issue contains articles that discuss in a broad sense advancements on fossil fuel technologies preventing environmental pollution, describe the process of designing and deployment of energy-efficient, ecofriendly technologies and analyse the potential of renewable energy systems and waste utilisation. Selected publications have been presented at the 2nd International Conference on the Sustainable Energy and Environmental Development (SEED’17) in Krakow (Poland). The conference has been organized by the Institute of the Sustainable Energy (Krakow), Department of Sustainable Energy Development, Department of Coal Chemistry and Environmental Sciences and the Faculty of Energy and Fuels of AGH University of Science and Technology (Krakow) and held in the Krakow Technology Park on the November 14–17th, 2017. The SEED’17 conference has been awarded with honorary patronage by the Ministry of Science and Higher Education, Ministry of Energy, Ministry of the Environment, the Energy Regulatory Office, the Malopolska Provincial Office in Krakow, the City of Krakow, the National Representation of Doctoral Students (KRD) and the AGH University of Science and Technology. We have welcomed over two hundred participants of scientific and industrial background from all over the world: Malaysia, Singapore, Canada, the USA, Portugal, France, Belgium, Germany, Italy, Austria, the Czech Republic, Slovakia, Lithuania, Finland and Poland, representing over 50 institutions. The authors performed their excellent works on sustainable development in the fields of energy, fuels and environment, during 16 plenary and 3 poster sessions. Plenary sessions were opened by guest lecturers, Prof. Witold Brostow (University of North Texas), Prof. Laura Vanoli (University of Cassino and Southern Lazio), Prof. Tomas Salkus (Vilnius University) and Dr. Evert Bouman (Norwegian University of Science and Technology) who delivered superlative speeches on advancements in technology and the environment in the energy industry. We believe, that high quality of presented works, substantive discussions and welcoming social programme made the members satisfied and encouraged to participate in the next edition of the conference, which is planned to be held in 2019. The guest editors would like to thank all the authors for their contributions to this special issue as well as Professor Philippe Garrigues, the Editor-in-Chief of the Environmental Science and Pollution Research Journal, for kind support and helpful recommendations. Financial support from the statutory activity of the Department of Coal Chemistry and Environmental Sciences, AGH University of Science and Technology, Grant No. 11.11.210.374, is hereby acknowledged.